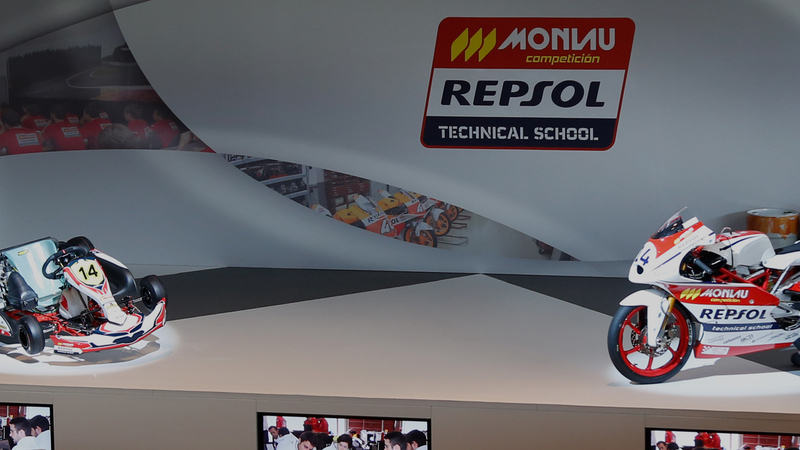 With more than 20 years of experience teaching cars and motorbikes racing techniques, from Monlau Repsol Technical School we launched in 2010 the first Motorsport Engineering Master with a brilliant staff of active teachers in the most important international FIA and FIM championships , all of them specialized in the different Master modules. During these years we have established our Master as a reference in motorsport. Year after year, we have improved the Master up to the optimal condition to give our students the warranty and the knowledge required to open the door to their future in the world of motorsport. Today we launch our first Motorsport Online Engineering Master with the same enthusiasm that we had before but with successful experience in the academic world. With the same standard basis that we succeed in the On Campus Master, we introduce the digital version for those engineers who love motorsport and due to different reasons cannot move to Barcelona to study their passion: The world of motorsport. We now offer the chance to get a motorsport racing degree anywhere in the world. No matter where you are because you will have the same theoretical and practical lessons as On Campus Master students. Our main goal is to give a chance to young engineering students, engineers and experienced professionals, to become true specialists in all kinds of racing car and racing motorbikes according to the methodology, criteria and needs that are required by professional race teams that interact directly with the motorsport’s world throughout Championships or to those who interact indirectly such as industries that work for the world of racing. At the end of the Master, the student will have all the knowledge to be able to choose any desired specialty. Track engineer, engine and transmission engineer, aerodynamics engineer, data acquisition engineer, simulation engineer, team principal or tech director, industrial engineer in the motorsport's industry, etc. - Confirm the obtaining of a University Engineering Degree or Bachelor of Science. - A proven long professional experience on race cars or motorbikes. As a student, you will work with the software used by the Motorsport companies.